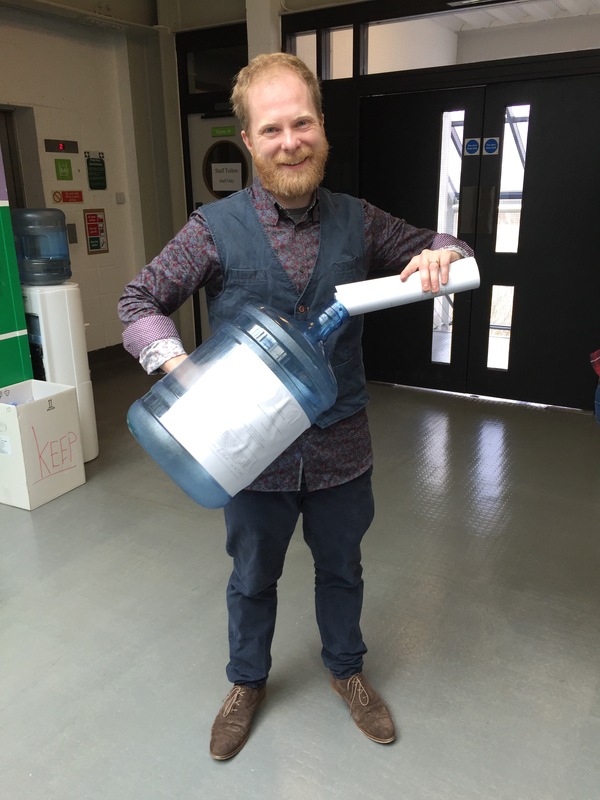 Here I am, submitting my dissertation! I thought I would mark this university milestone with a little write up about my dissertation experience! So grab a chair, grab a glass of tap water and enjoy responsibly! 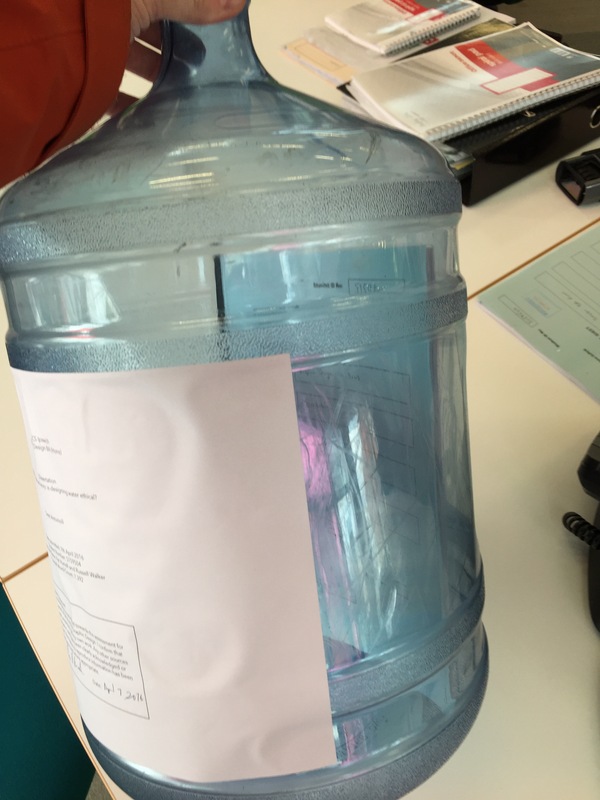 My dissertation focused on bottled water. It’s a look at how design can create a life style, an aspiration or even luxury status around the very thing that comes out of our taps for fractions of a penny. Beyond the brand names that might come to mind, it also explores the luxury spectrum of bottled waters such as Bling H2O, where bottles speckled in Swarovski crystals go for a very pretty penny indeed. This is where my dissertation journey began. Actually, this is also how my dissertation begins! My visit to the V&A exhibit was a part of some loose initial research to find a suitable dissertation topic. 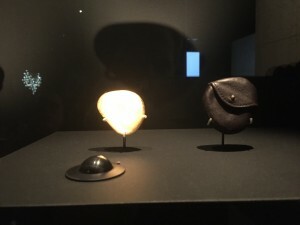 The exhibit covered some initial preconceptions I had about luxury like intricate craftsmanship and precious metals, but it mostly ventured into abstract concepts I hadn’t considered. One piece I really enjoyed was Dominic Wilcox’s Luxury Skimming Stone. It’s a gold leafed stone with a bespoke leather pouch. The idea is that skimming the stone, enjoying that experience and creating that memory is a luxury in itself. By gold leafing the stone, he puts it in conflict with the idea of throwing something precious away. Of course, you need to view gold as a luxury and that is the heart of the question. What affects your perception of something being luxurious or not? The V&A doesn’t answer the question on purpose. It’s down to the individual. However, I think it’s important to take social context into consideration too. In my opinion, there are some contexts where you need to be seen and reap the reward of being seen to fully enjoy the luxury experience. Many years ago I rented a red Ford Mustang convertible to drive along California’s coast. Oh yeah, and my wife was there too. Anyway, for me this counts as luxury and I did enjoy it on a personal level. But I also remember the small buzz I got from people watching me ( who probably thought I owned it) and feeling a little bit special for it. Its the context that added to that experience but I think it can also be the context that defines it as luxury in the first place. 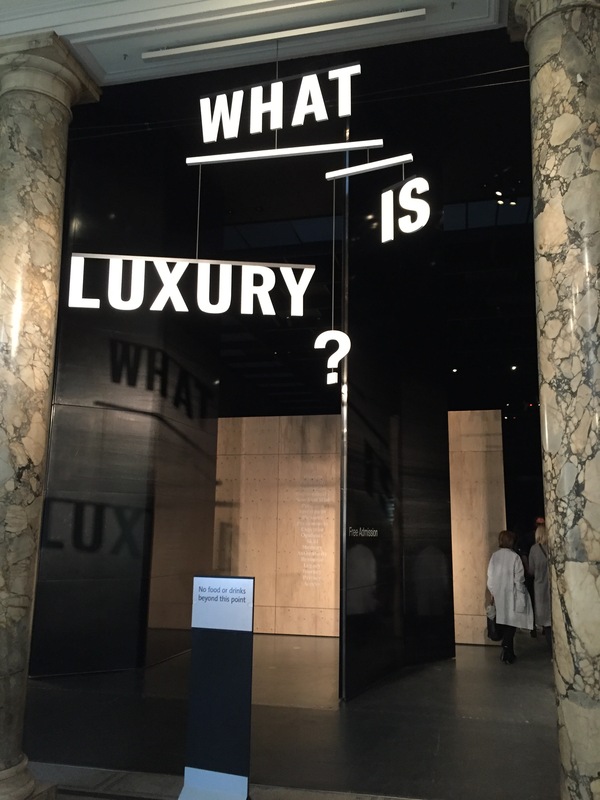 My dissertation begins with defining luxury and also explaining theories about value. Value can come from being rare and precious but also from being incredibly useful. This is where water comes in. It’s abundance makes it worthless in one regard but it’s utility makes it priceless. We can’t live without it! Surely water is not a commodity but a human right, no? Well, kinda. I would find the UN only declared it a human right in 2010 and even then, 41 nations disagreed with that notion. Countries like the UK, US and Canada abstained from the vote and gave statements that basically opposed the idea. The context we live with now is that there are ‘water poor’ nations where people are struggling for clean potable water and yet ‘water rich’ nations like the US are supporting a billion dollar bottled water industry. I would research the origins of this with a focus on the UK. In fact, the origins of tap water are the origins of water class distinction as the wealthy classes would have it first. Eventually, it would be a mix of historical distrust of water quality and the perception of water as a healthy lifestyle in the 1970s that welcomed the bottled water brands. Two brands I looked at in particular were Evian and Perrier. Unpicking imagery, language, bottle design and marketing campaigns, I aimed to show how design is integral to making water seem like so much more. Language is crucial and who better to interview about the importance of language than Naresh Ramchandani, Pentagram partner. It was a real pleasure to see him again and talk about luxury. His non profit organisation Do The Green Thing took a jab at the bottled water industry with this satirical video. It’s a great collection of the different lifestyles that water has been pitched to, culminating with the common sense fact that: it’s just water. 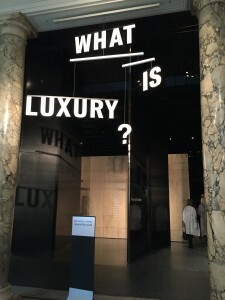 My dissertation touches on some extreme luxury brands covered in gold and even a look at how ice is being attributed the perception of luxury. Is it wrong? I think so. But it’s not all wrong. Check out Belu water. A partner with Water Aid, this brand is as ethical as it possibly can be while attributing a price tag to water. I think my overall experience of the dissertation was like that of a hundred mile bike ride. It sounds like a great challenge to undertake and of course at certain points I questioned ‘why? !’ and ‘am I there yet?’ With a toddler and a new born I discovered how time can be a luxury. I also found research can be an indulgence. Yet the feeling of completion is one of pride, complimented by exhaustion and satiated with a cold pint. But words are not enough. I plan to act on my findings and speak with my university’s provost. Belu water is available in water fountain jugs, meaning every cup from every student could benefit those in water poor nations where water really is a luxury. Perhaps it is also within your reach to instigate this small change that makes a big difference? Have a think. And there she is, one final look at this ethical question in a bottle. I will rest assured this copy for the university’s records will stay safe as a luxury item should be, for years to come. Who knows, perhaps it may even be the catalyst for a new discourse about luxury; the luxury of office space!